There's a new Chinese slot game at Intertops Casino today! 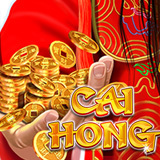 The new Cai Hong is a sequel to the sumptuous God of Wealth slot that’s been one of the casino’s most popular games. Until April 8th there's a choice of introductory bonuses up to $777 that include up to 77 free spins. These bonuses are available until April 8, 2018. Free spins winnings are subject to 10X wagering requirement. Wagering requirement for the deposit bonus is 30x deposit + bonus. Cai Hong pays tribute to Caishen, the Chinese God of Wealth. It has a free spins bonus feature where all wins are doubled and it has a fun Bonus Picks game where players click on gold coins to reveal instant prizes. The Wild symbol is the Gold of Wealth himself. If he’s in a winning combination, the win is doubled. The scatter is a Rainbow. Three Rainbows initiate eight free spins where wins are also doubled. During free games Scatters trigger Bonus Picks where players can win up to 33 free spins with up to 15X multiplier. Realtime Gaming has already added four new Chinese-themed slots this year. Fu Chi celebrates the Year of the Dog. Fantasy Mission Force and Eagle Shadow Fist are inspired by action movie hero Jackie Chan. Shanghai Lights toasts China’s largest and most glamorous city. Intertops Casino has been spreading fun and excitement around the globe for more than twenty years. The world’s most trusted online and mobile casino, Intertops Casino offers hundreds of games from Realtime Gaming.